← Really? You Needed That? As Sam Smith wraps up his excellent series on the Albemarle’s short and violent career, we should take a moment to reflect on what the ironclad actually spent much of her time (from May to October 1864) as: a “fleet in being.” In essence, she remained a latent threat, avoiding decisive action yet tying down major enemy assets against an attack. The “fleet in being” strategy is not often used these days, but in the 19th Century was an acceptable way for a weaker naval force to deny sea control to a superior fleet. 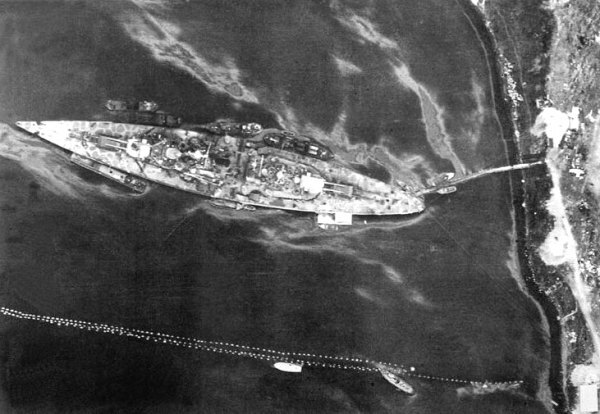 A “fleet in being” strategy is useful in that it requires little energy or activity, while denying the enemy access to the portion of river or sea that is defended. It is generally passive, often involving a series of barriers or other protection to further hinder access to the fleet itself; an example is the complex obstructions at Drewry’s Bluff on the James River that blocked navigation. Albemarle was a latent threat to Union control of the North Carolina coast, and herself was surrounded by log barriers to deter attack. While effective in the short term, fleets in being sooner or later must act or be acted upon. Lack of supporting ground troops and coal prevented Albemarle going on the offensive, and a daring Union commando raid sank her in late October 1864. In 1918, the High Seas Fleet mutinied at the end of the war rather than sortie, while Tirpitz survived multiple British commando and bombing raids before being sunk November 12, 1944. Even when acting, sometimes the fleet finds that the “in being” period produces atrophy in the crews and their skills. The James River Squadron tried to attack down the James in January 1865, but two of its three ironclads ran aground due to poor navigation. The operation had to be abandoned, the ships extricating themselves with some difficulty. The squadron destroyed its ships when Richmond fell in April 1865. In the case of Albemarle, the “fleet in being” strategy worked for a time, but ultimately failed. Her sinking removed the major prop of Confederate defense in the North Carolina sounds. Plymouth was recaptured days later, and Union control of the North Carolina coast facilitated the victorious land campaign in that state in 1865. 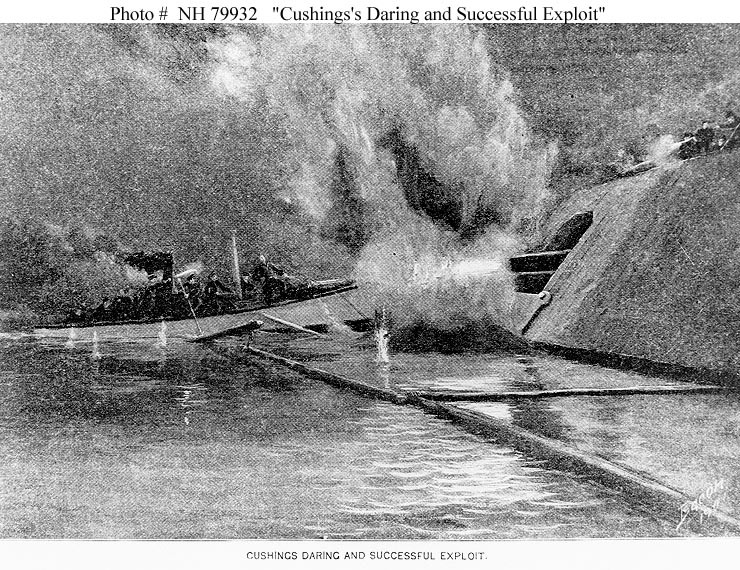 This entry was posted in Campaigns, Emerging Civil War, Leadership--Confederate, Navies, Ties to the War, Weapons and tagged Confederate Navy, CSS Albemarle, James River Squadron, Lt. William Cushing, North Carolina, Plymouth, Richmond Virginia, Tirpitz, U.S. Navy, Union Navy. Bookmark the permalink.